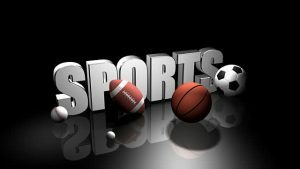 If you are new to sports betting, all the different terms and lingo used in the industry may all be a bit overwhelming… perhaps you figure it should be just as easy as picking the winning team and that’s it, but then that’d be way to easy, there are many different types of bets, and as you get familiar with each of them you’ll soon realize they are not complicated at all and that with a bit of skill and knowledge you can use them to your benefit. In this occasion we will explain how to bet on sports using the point spread system. So let’s start with the basic concept: when two teams face each other there’s usually one of them that is superior to the other, therefore making it the favorite, but how much better is one team in relation to the other? That’s where the point spread comes in, assigning a point value to the outcome, sportsbooks manage to attract wagers on both sides using this system and it also makes the games that much more exciting, because let’s face it, what is the point of watching a lopsided game? When you are using the Point Spread you are not betting on which team will win, but by how many points it will win or lose. In this particular case, the Warriors with the -3 represent the favorite team, the minus indicates they are “giving away” 3 points; in other words if you are choosing the Warriors to win at -3, the Warriors must win by a difference of 4 points in the final score in order for you to win the bet, for example 110 to 106 (110-3 =107), if the difference is of only 3 points in favor of the Warriors, say 109-106, the bet would be a tie (109-3 = 106). If you are choosing the underdog (Cavaliers) at +3 this means the Cavaliers must win the game, or worst case scenario lose by fewer number of points than what the line indicates, in other words if the Cavaliers lose by 1 or 2 points you’d still win the bet. For example if the final score is Warriors 108 to Cavaliers 106 you win because 106 + 3 = 109 which is higher than the 108 scored by Warriors. If they lose by three points you have a tie (take an example of a score 109-106, you have +3 that make is 109-109) and if the difference is bigger than that, as in our first example you’d lose the bet. Betting on sports using the point spread can be a good tool when choosing the underdog. Sometimes you’ll see half points added to the line to avoid pushes or ties, for instance if the line is -3 ½ and you have the Warriors at this number, if the score is 109 to 106 you’d end up with 109 – 3 ½ = 105 ½ , therefore losing the bet; so that half a point can make a big difference when you are betting on sports using the point spread. You’ll realize as you get familiar with betting on sports using the point spread that the line opens at one number and moves to another as the event approaches, this is normal and it’s done by bookmakers to attract wagers on one of the sides depending on where the money is being placed; this allows them to “balance things out” and not end up losing a ton of money. You have to know when to take advantage of a particular point spread, sometimes depending on which game and team you are betting you’ll be better off if you choose to bet early on and other times you may want to wait until the line moves to a more favorable number.